I have always maintained that Chinese food is probably one of Indiaa��s national cuisines. So if you can serve up decent Chinese, youa��ll always have customers. 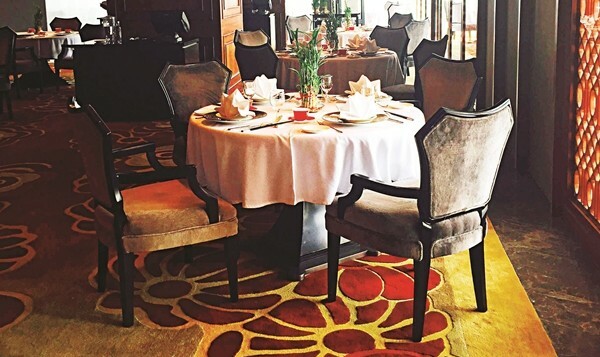 Shang Palace, the new Chinese restaurant at the Shangri La has done a smart job. The menu ranges from old school familiar Chinese food to some interesting dishes. Ita��s not so much about being innovative here, but more about flavour. And ita��s priced really well too. 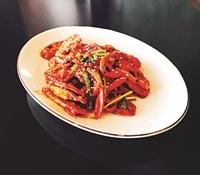 We began lunch with the crispy lotus stem, tossed in chillies and Hoisin sauce lends the dish a sweet and spicy flavour, and probably one of the best renditions of the dish Ia��ve had in a while. With that the vegetable crystal dumpling (dim sum stuffed with Chinese greens) and the prawn hargaw (a Cantonese specialty) are equally good. The best thing about the prawn hargow, apart from the delightful taste, is that ita��s sized just right. 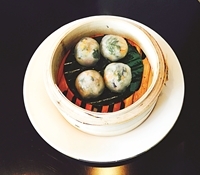 Served with ginger vinegar, and chilli bean sauce, ita��s kind of hard to stop eating these. 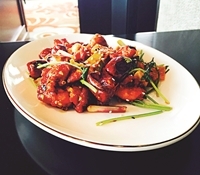 The chongqing chilli chicken, where bite-sized chicken pieces are tossed in ching kiang vinegar and schezuan pepper. The peppers add a lovely bite to the dish, while whole cashews balance the dish out. The soup section is fairly predictable, and unless youa��re a soup junkie, you can skip to some thing else. For instance, the roasted Beijing duck, where slivers of roasted duck are wrapped in a pancake with cucumber, scallion and some Hoisin sauce. It could get a bit dry though. The mapo tofu however makes up for what the duck lacks. Tossed in a chilli bean sauce, along with shiitake mushrooms, and bamboo shoot, the dish packs in quite a bit of flavour, and can be easily paired with jasmine rice. For main course, the Hunan style steamed fish would have been delightful. In fact, ita��s probably perfect for those who like basa. I am not one of those people. That dish could have reached a completely different level had a different fish been served. Incidentally, you can ask them to do that, something I discovered later. Whata��s absolutely marvellous about it is the sauce made with pickled chillies and preserved black beans. Try it. The star of the afternoon is the tenderloin slices stir-fried in black bean sauce, shiitake mushrooms, and bamboo shoot. Cooked to perfection, I would have been happy with just that. The meat is tender, the sauce just right, even as the chef reminded me that traditionally this dish would have been much hotter, and hea��s had to tone down the spice levels for the local customers. Fair enough, I suppose. Rs.1,800++ (meal for two). At Shangri La, Vasantnagar.